A herd of robots have been delivering food around Virginia’s George Mason University since January and robot manufacturer Starship is ready to release some insights from the test. According to a release from the company, the 25,000-person test showed that convenient delivery significantly boosted breakfast volume among students at the university. Starship and operating partner Sodexo said that they completed 1,500 additional breakfast orders on campus since implementing the automated deliveries. A 2016 study from Australia’s Institute for Physical Activity and Nutrition showed college students skip breakfast 88 percent of the time. Boosting volume during this day part was Sodexo’s primary interest in testing dramatically more convenient morning options. Time was the top reason college students in the study listed for skipping breakfast. Certainly busy student life is a factor, but for anyone who recalls their college days, the real issue always seemed to be the general chaos of young adults on their own for the first time. A long breakfast line just doesn’t fit that lifestyle. Now, however, for a $1.99 delivery fee students can meet a robot en route to class, outside their lecture hall, in front of their dorm or as they race out of a parking ramp to make it to class. “I’m really excited for these robots! Having the ability to get breakfast delivered right to my door simply with my meal plan will be a lifesaver for early classes and long days,” said NAU student Josh Feygin in the Starship press release. For the campus foodservice operator, Sodexo, the robots were one way to keep more food sales on campus, with payments flowing through the easy student meal plan. Whether the 25 additional orders per day at the breakfast day part are meaningful enough, the success of the program largely proves that campuses are ready for this kind of automation. That’s a major opportunity for Sodexo and its operations on more than 700 college campuses. The companies announced a second campus project at Northern Arizona University with hopes for similar results. “Today’s college students are prolific users of food delivery apps and they place a high value on convenience, ease and diversity of options, so we are thrilled to be able to provide this cutting-edge robot delivery service to Northern Arizona University via our partnership with Starship,” said Barry Telford, CEO, Universities West, Sodexo North America. Similar to how Facebook changed the world of on-campus communications 15 years ago, figuring out the possibilities of this technology may have countless side benefits. Beyond the sales boost for campus foodservice operators, there are also invaluable fringe benefits to training these consumers how to use robotic meal delivery. 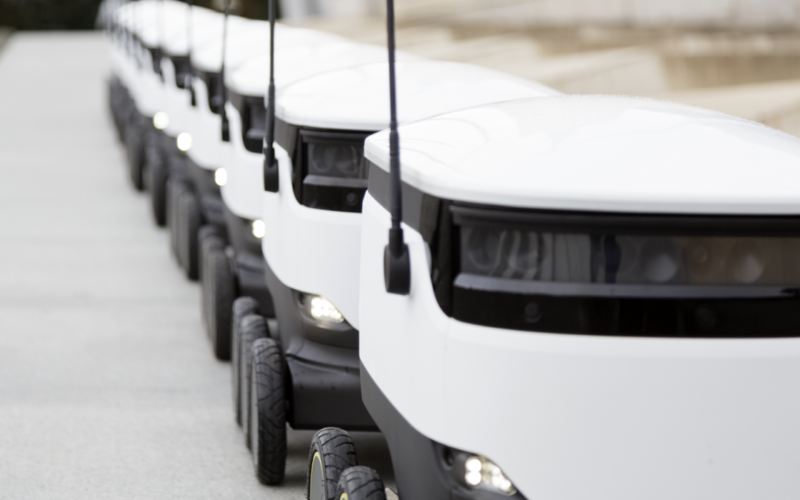 As robots like Starship’s adorable six-wheeled cooler become an increasing part of campus life, those customers will grow up expecting the same convenience in the real world—but without mom and dad’s credit card.